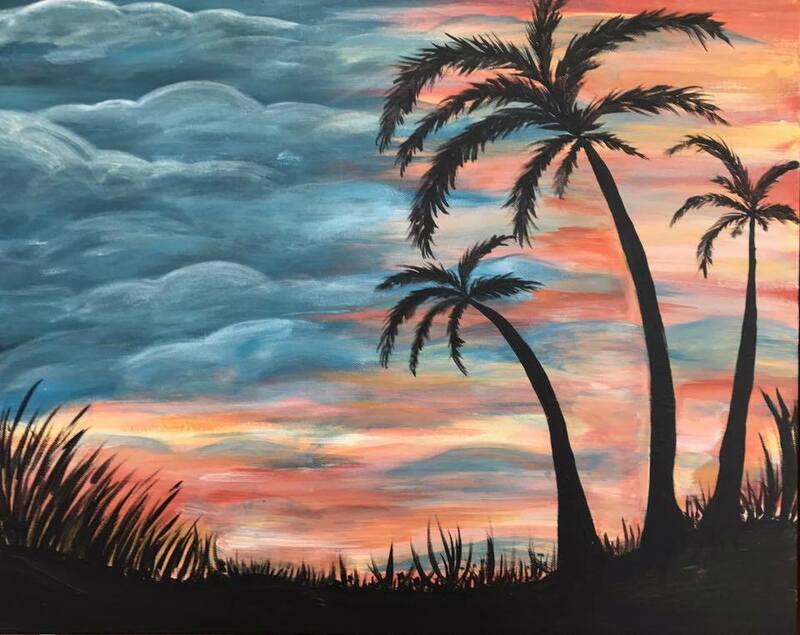 Paint and sip events combine social drinking and painting. Our paint and sip studio offers beer and wine for purchase. Everyone gets a canvas and follows an artist's instructions to recreate the featured painting on their own canvas. Paint and sip is not a serious art course - it's about socializing and having fun. Expect a relaxed, fun atmosphere - there's no pressure to be a Von Gogh! We provide everything, including aprons to protect your clothes and a paint-free space for your purse. Although we provide aprons, paint spills & splatters happen! There is a very small window of time to get acrylic paint out of clothing and it may not come out despite a quick response time. So, please wear comfortable clothing that you would be OK with getting paint stains on. Old yoga pants are welcome! The cost includes all the art supplies you'll need and 2 - 3 hours of painting instruction from an artist.